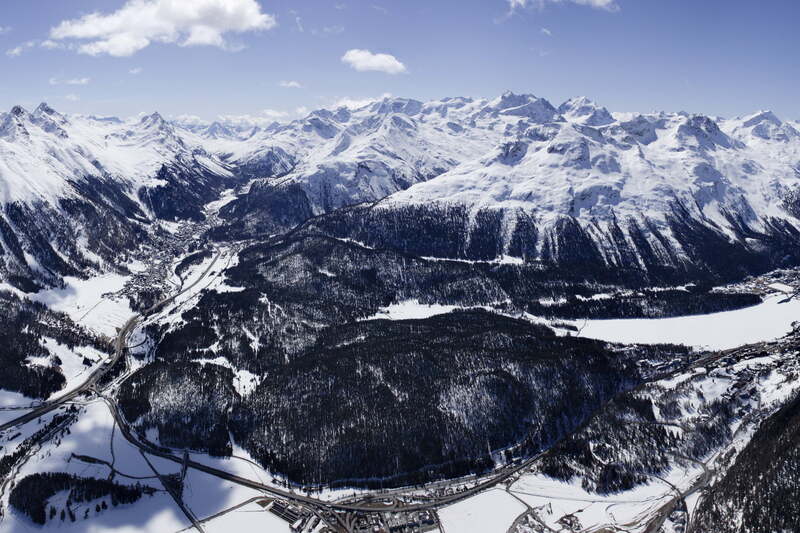 See the Engadin from a bird's eye view. On a helicopter flight over the Bernina massif, you can take a close-up look at the highest peaks in the eastern Alps. Flying enthusiasts who like to feel the wind in their face, meanwhile, can enjoy a rather more sedate flight by hang-glider or paraglider.